David has exhibited widely in many solo and mixed exhibitions, having work in many public and private collections both national and international, winning several prizes. As his work evolved, it drew on disparate and idiosyncratic influences ranging from underground comix art, outsider art, surrealism, symbolism and the esoteric. 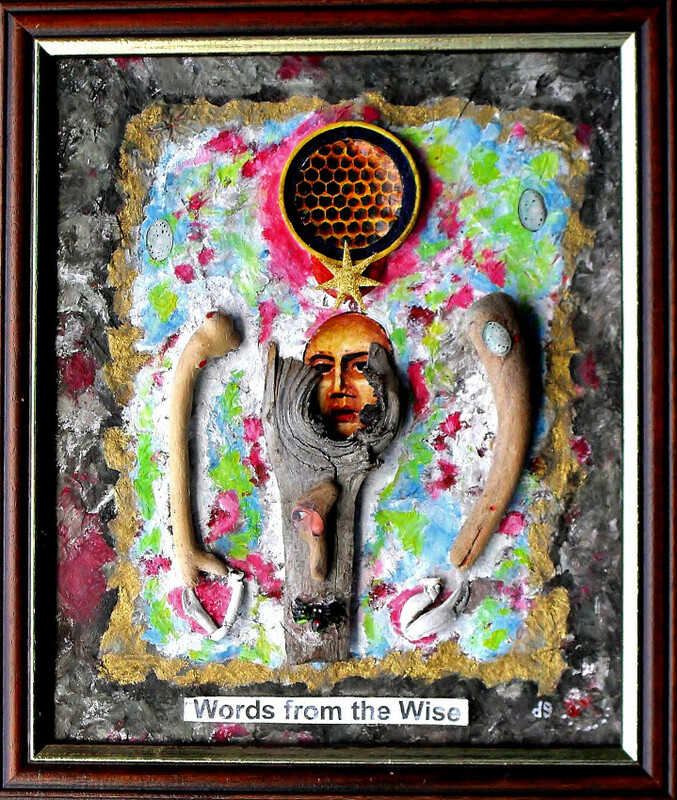 Through various experiments with materials and techniques he explored mixed media styles that incorporated found objects, both natural and man-made, collage, ink and paint, frottage and drawing. His symbolic work consists of mandalas and more stylised pieces. The inspiration being from both eastern and western esoteric and mystical sources. David’s landscape work is inspired by walks discovering overlooked and unnoticed places; the field corner, overgrown stile, footbridge over a ditch, footpaths, bridleways and tracks through field and woodland, lichen on old stones or the blade of grass scribing it's mark in the sand on the beach. David, born in Lincolnshire, has lived and worked in the West Country, London and Lancashire. Art UK is a website which aims to show the entire UK national collection of art work, the stories behind each one, and where to see them for real. It is made up of thousands of artworks from museums and other public institutions around our countries. David's piece “Chaos Ground” was selected as part of Stockport Heritage Services and another piece called “Drifting Ground” for Blackburn Museum and Art Gallery. For forthcoming exhibition information go to David's Facebook Page. Prices are negotiable and range from £40 to £1500. Please contact the artist.